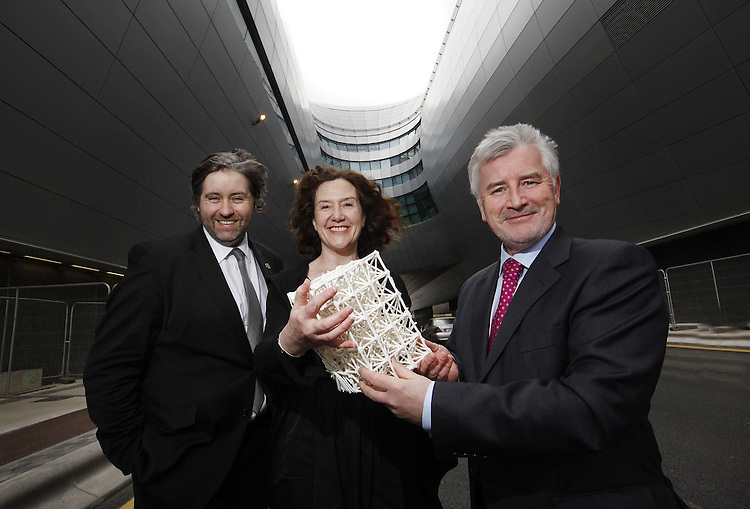 .Art & Architecture merge for Awards..Announcing the sculptor for this year's Allianz Business to Arts Awards at Terminal 2 in Dublin Airport were Business to Arts chief executive Stuart McLaughlin (left), sculptor Nuala O'Donovan, and Declan Collier, chief executive of the DAA. Pic Robbie Reynolds. Commissioned by the DAA for the last 19 years, this year's award constructed in porcelain is entitled 'The Sum of its' Parts'. The closing date for nominations for the awards is Wednesday 24 March..